Dr. James Altomare is proud to serve patients in and around Skillman, offering the latest in advanced dental care treatments. This includes advanced solutions for tooth loss, such as full and partial dentures. We'd like to take a moment right now to consider how partial and full dentures compare to one another and which might be best for treating your issues with tooth loss. Partial dentures are appliances that are used to fill a large gap that's been left behind following the loss of multiple teeth. These kinds of dentures brace against the remaining jawbone and gum tissue, allowing patients to bite, chew, and smile with confidence again. The best candidates for partial dentures are people who have lost multiple teeth but are not eligible for dental bridges. They typically have a few teeth remaining, but the tooth gap left behind is such that there is not enough remaining tooth structure to maintain a bridge. Full dentures are a full set of upper or lower teeth. 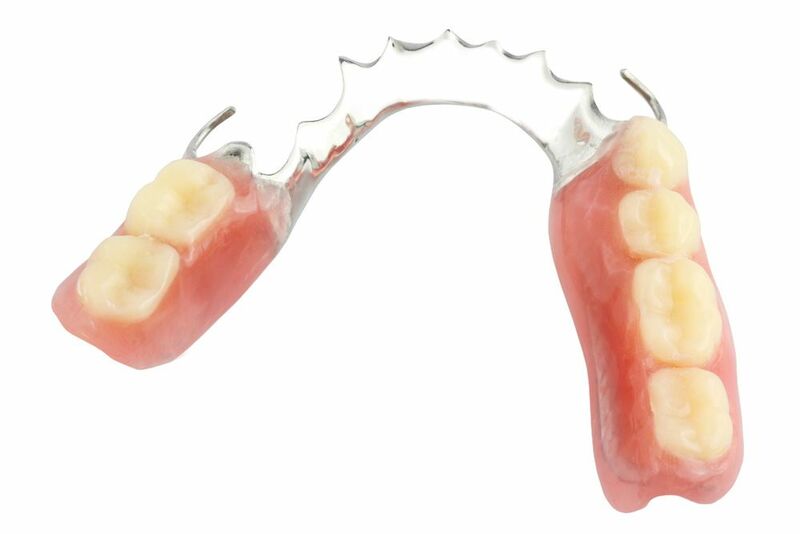 These kinds of dentures are typically used when a patient is missing all of his or her teeth. As with partial dentures, the goal of full dentures is the same: to restore a patient's ability to bite, chew, and smile normally. The best candidates for full dentures are patients who have loss all or the vast majority of their upper of lower teeth. In such cases, the use of a partial denture is no longer viable simply given the extent of the tooth loss. The full denture will provide a full set of artificial teeth designed for various tasks when it comes to biting and chewing. How is the stability of partial and full dentures? In general, the stability of full and partial dentures is good. Whether partial or full, the denture is custom crafted in order to fit the patient's needs, ensure a secure grip that is also as comfortable as possible. The overall grip and stability of a denture can be supplemented with the use of denture creams. These dental adhesives are typically quite effective at preventing slippage of dentures while eating and speaking. Though removable dentures are effective, we should also note that implant-supported dentures are superior in many ways. These kinds of dentures are supported using dental implants, which are artificial tooth roots surgically embedded into the jawbone and gum tissue of a patient's dental ridge. The denture is then snapped in place, providing a level of stability that is on part with natural teeth and tooth roots. Partial and full dentures can be supported by dental implants. Ideal candidates for this option should be in good health to tolerate surgery and have realistic expectations about the treatment process. A months-long recovery is required following oral surgery to ensure that the dental implants fuse properly with the organic structures of the mouth. During the consultation process, we will be more than happy to cover all of the pros and cons your denture options. This will help you get the answers you need to make a confident choice about your dental health. For more information about your options for advanced dentistry, it's important that you contact our cosmetic and restorative dental care center today. Dr. James Altomare and the entire team at the practice look forward to your visit and helping you achieve a healthy and beautiful smile.